Remember Easy Root? 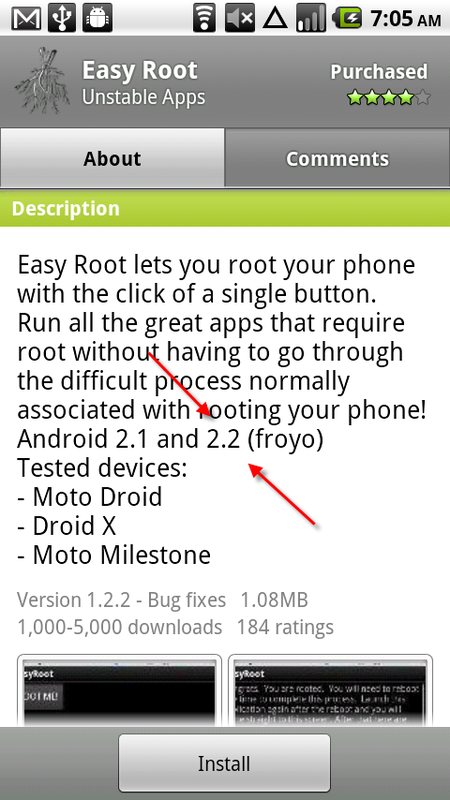 You know, the “1-touch” rooting machine that rooted many of your Droid and Droid X devices just before the FRG01B manual update was released? Well guess what? The developers behind it have figured out a way to root that same official stock FRG01B that many you seem to want to revert away from for rooting purposes. And now you can do just that with again, a simple click. For those of you new to the rooting game, we ran a poll asking users why they would root their phone a while back and should provide you with any answer you might need to take the plunge. View the poll here. Update: Easy Root has been “suspended” from the market. We’re awaiting details as to why.